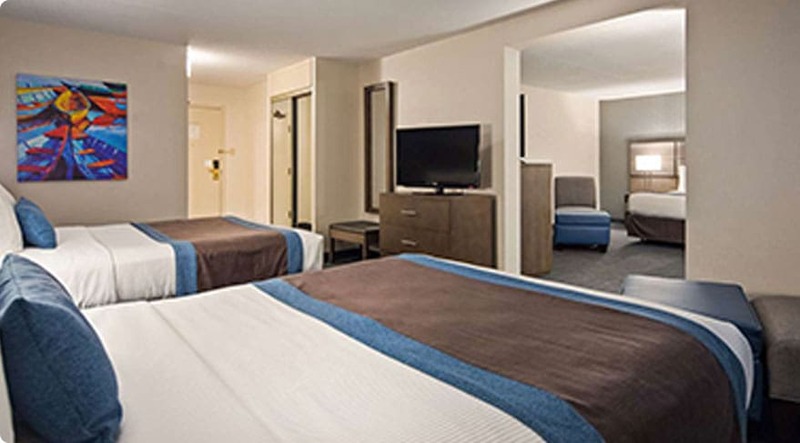 The Best Western Plus Toronto Airport Hotel, located in Mississauga, offers over 5,000 square feet of newly renovated event space and conference facilities, which can accommodate up to 200 people. Our conference rooms are graciously furnished and can facilitate most audio-visual requirements. We also provide wireless high-speed internet in all meeting rooms, catering, event planning assistance and a hotel business centre. Our largest meeting room, Sunset Hall, is located on the first floor with a separate outside entrance, a large foyer and large windows. The Sunset Hall is ideal for large meetings, dinners, weddings or casual receptions. The three Royal Crown Rooms located on the lower level are adjacent to a large reception area. 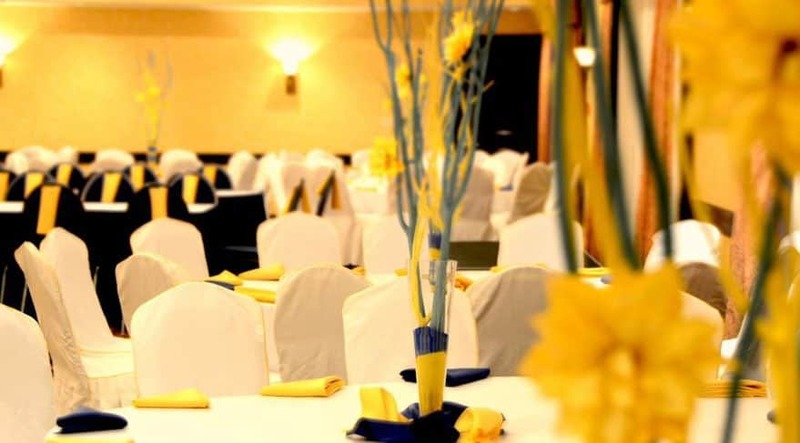 Allow the Best Western Plus Toronto Airport Hotel to assist you in planning your next successful meeting, business function or conference. Sunset Hall 74" x 27" 2,000 186 11" 6"
Royal Crown I 28" x 25" 700 65 9" 9"
Royal Crown II 25" x 26" 700 65 9" 2"
Royal Crown III 25" x 25" 675 59 9" 2"